Being an owner, we have to keep pet’s diapers along with us for the overall cleaning and hygiene purpose of the dog. One can also give toilet training to the puppies, but diapers are a ‘must need’ for the dog owners. On the other hand, dogs, even the pets, want to live freely. If you notice, they are delighted when there are no chains or muzzle around them. Just like that, dogs are not comfortable with diapers. It is not a convenient thing for them, and so they keep pulling or scratching it. 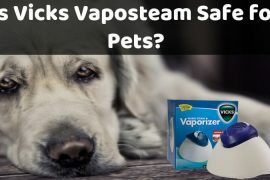 Here, you will get to know about some tips and tricks on how to keep doing diapers from falling off because of dog’s pulling or scratching. There are various methods for the same. Here are few. Pad secure is nothing but the thing or cloth or some simple attachment device which can help you in the process of diaper protection. After doing some research on different ideas and testing a few, I have shortlisted these five tricks to hold the diaper at its place. If you have a male dog, you can use a comfortable belly band made from a thick fabric and Velcro. This band covers your pet’s waist and holds the diaper by its Velcro strap. Such bands are straightforward to use and economical as well. These bands also help in catching any sprayed urine. The Velcro used in the making of these bands can hold for a long time onto your dog. The band should be high enough from the dog’s waist to give more comfort to the male dogs. The suspender is the combination of Velcro and buckles. If your dogs are comfortable with the harness, then they will not mind of suspenders. You can attach it to the dog’s tail and also match it with the dog’s collar. If you don’t want Velcro for your dog, then you can also get the soft elastic suspenders which can slip directly on the diaper. By using suspenders, you do not have to worry about your hyperactive pets, as it prevents slipping off and stays fit. Are you having a little cute dog? No need to worry. Get a sleeveless baby onesie and gift it to your dog. I mean, put on that onesie on your dog and then put a dog diaper that stays on! 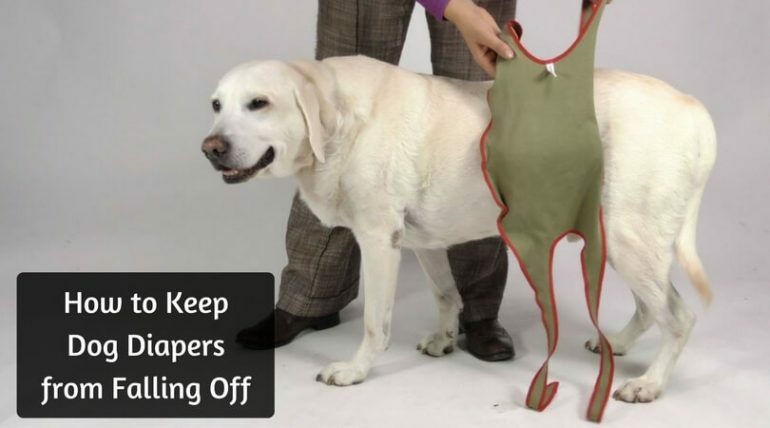 Here, don’t forget to cut a hole at the backside of the cloth for the dog’s torso. Onesie will not drop the diaper anywhere. You must know about super easy pant-style diapers for infants. Even for the dogs, we can use such diaper pants with the hole in it. The soft elastic of the diaper helps it to maintain proper fitting. You can also make dog’s underwear on your own from some comfortable fabric or ace bandage. 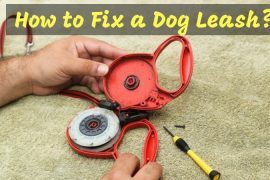 You just need to take the dog’s weight measurement, put straps according to the size, and cut the hole for his tail. This option is the simplest one amongst all of the above. Use tapes to keep dog diapers from falling off. Don’t try for pant style diapers; instead, use the diapers with tapes. When both the ends of diapers meet, use the small piece of tape to join them. Be careful as it will not be good at all if the tape sticks with the dog’s fur. Apart from that, tapes are entirely safe to keep the dog diapers. 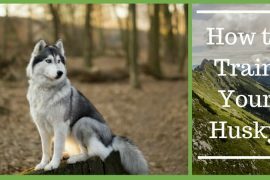 So, these were few tips and tricks which can help you to put a dog diaper that stays on! 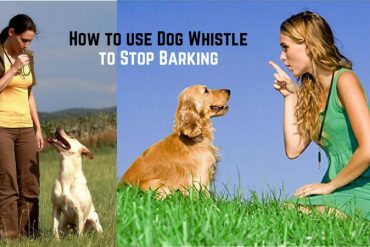 I hope to be a dog owner; you will find these options helpful and try them on your beloved pet. Once you convince the dog about the diapers, he will surely wear that without scratching or pulling. Keep calm and pamper your pooch.